That's right - Heart! 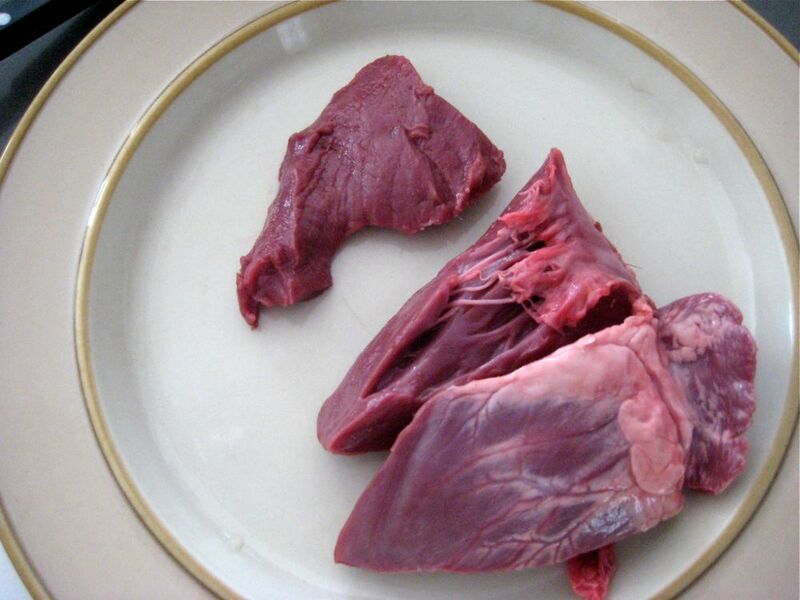 Another offal nutritional superstar, heart is rich in iron, niacin, pantothenic acid, phosphorous, riboflavin, selenium, thiamin, vitamin B6, vitamin B12, and zinc. You can check out heart's nutritional information here. Handling and cleaning the actual muscle was interesting - more like theater than cooking! I really wanted to stage a shoot of me pretending to rip the pig heart out of Scrapple's chest, Indiana Jones style, but then decided it might be best to wait until AFTER we were legally married to broach the subject of acting out strange mock ritual reenactments. Maybe next time? Just a quick “thank-you-for-coming-back-alive” treat I cooked up for Scrapple when he came home last weekend (we had our bachelor/ette parties). Nothing like a little positive reinforcement! We had a gorgeous half pint of blackberries in our CSA share - looking like gigantic gems ready to burst. I almost just gobbled them all fresh but had been wanting to try a berry basil combo of some sort and boy am I glad I did! I'm a huge fan of sweet-savory combos and this one did not disappoint. Rhubarb - Step Away from the Strawberries and Get Your Stalk Out of That Pie Plate! 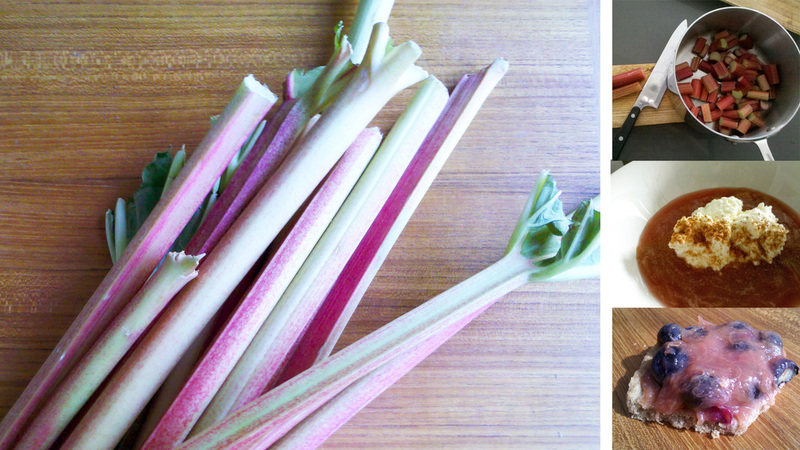 After last week’s CSA share pick-up we had a serious rhubarb explosion going on in our kitchen! 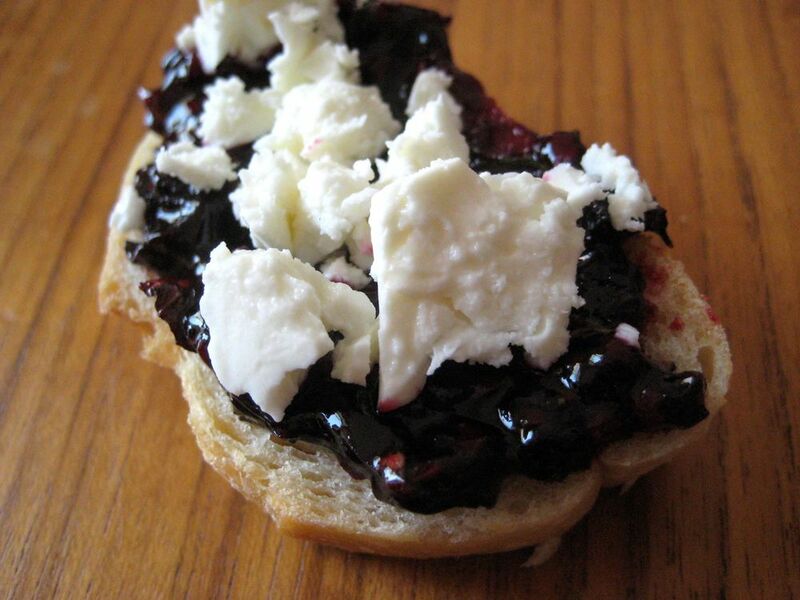 Before berries are officially on a roll we’re blessed with this uniquely sweet-tart treat to start off the season. Although usually prepared and eaten much like a fruit, rhubarb is a leafy vegetable. The plant grows up to 3 feet tall with gigantic leaves unfurling in all directions. The red and green speckled wands you find in the market are the leaf stalk of the plant. The leaves themselves are toxic, containing oxalic acid crystals, so don’t try to cook ‘em up if you’re harvesting your own. The root’s popularity in ancient Chinese medicine aided Rhubarb’s migration from Asia to Europe and finally the Americas. Ben Franklin is credited for bringing rhubarb seeds to the North American east coast in 1772, but eating the stalks did not catch on until the early 1800s, when it became a popular ingredient for pie and home made wines. Smooth, rich, briny, savory, mmmmmm! Liver! Yes my friends, liver. I know that many of you have had a traumatizing run in or two with the mushy non-muscle as kids - luckily I never did and so I headed into my first encounter hoping it would taste just like pate (I’m serious). And it did! Well...similar - very delicious with that guttural mmm! 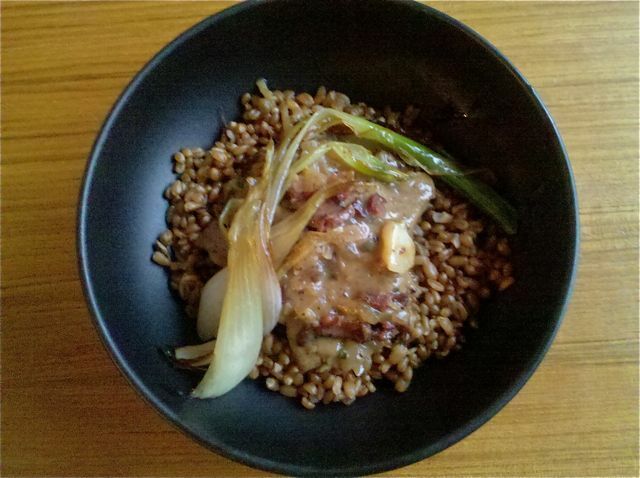 inducing taste that you only get from naughty things like bacon, pate, and pork shank (mmm!). I’m a recent convert so you'll just have to deal with my enthusiasm.